"My counselor at 'the Cove' helps me recognize the progress that I'm making; like things I am accomplishing now that I could never have accomplished just months ago." 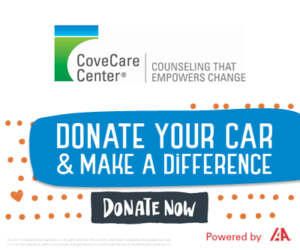 At CoveCare Center, we recognize that the mental health needs of older adults are unique and deserve to be approached with respect and expertise. CoveCare’s experienced staff is trained to help seniors and their loved ones meet the challenges of aging and cope with the potential depression, anxiety, and fear that can accompany physical changes and loss in later life. In addition to our Mental Health Counseling & Treatment Services, we offer a free program for Putnam County residents aged 55 and older who are struggling with mental health and/or substance use issues. Read more about our Senior Partnership Services.